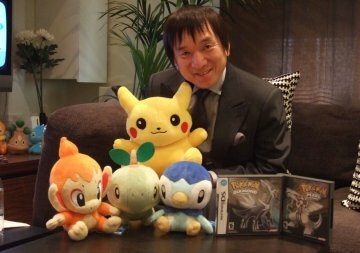 In the wake of the tragedy in Japan, many rumours spread across the internet saying that, Pokémon creator, Satoshi Tajiri had died. 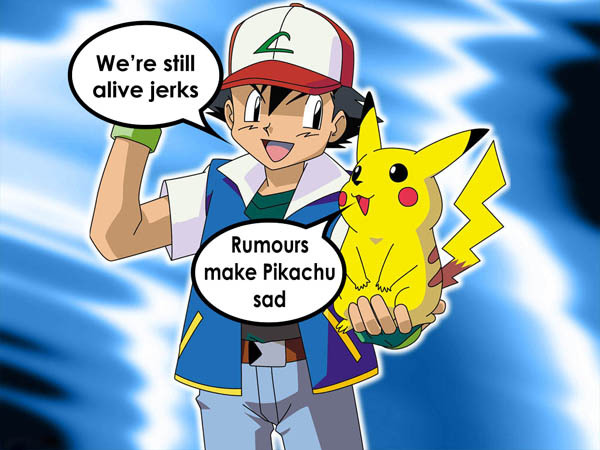 Luckily, these rumours were nothing more than a hoax, as all of the Pokémon alumni survived the Earthquake and Tsunami. Tajiri did faint, but he didn’t even have to make a visit to the Pokémon Centre. The hoax originated on Tweeter, but it wasn’t long before the news reached other sources. This is not the first time a death hoax as occurred, and it probably won’t be the last, so I have to ask; do we believe these rumours? When you hear someone well known has died, do you doubt the person reporting it? Or do you just accept it as a fact and move on? Let me know by voting and leaving a comment below. This entry was posted on March 13, 2011 by adamodwyer1. It was filed under News and was tagged with are, ash, believe, centre, creator, dead, death, died, do, earthquake, fainted, famous, have, he, hear, hoax, hoaxes, is, it, japan, japanese, news, not, people, picture, pikachu, pokemon, rumour, rumours, satoshi, tajiri, tsunami, twitter, when, you. I heard the creator of this very blog was killed by a freak tsunami in his own bath tub, no confirmation on Sky News yet though.